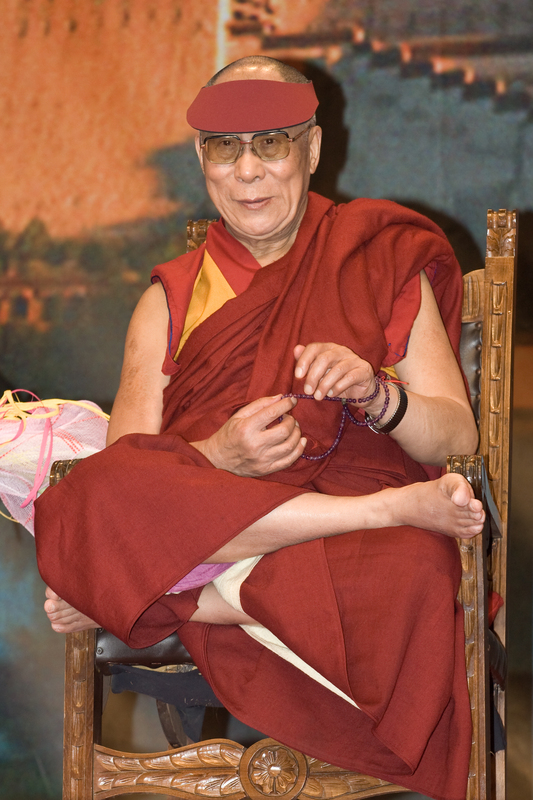 You are currently browsing the archives for the Dalai Lama Rosary of Views Miami 04 EN category. His Holiness the XIV Dalai Lama: Milarepa’s story testifies to the fact that it is through hardship and constant practice that eventually leads to realization, not through a simple blessing or being touched on the head by another’s palm. 19-21, 2004, Miami, Florida. Translated by Thubten Jinpa. Sept. Transcribed, annotated and edited by Phillip Lecso. 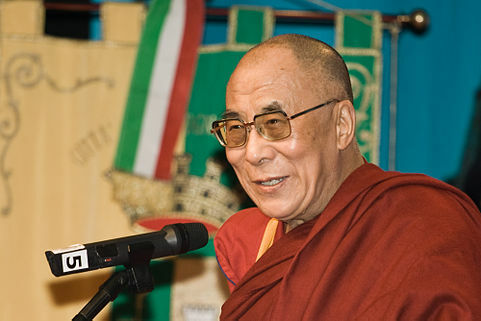 His Holiness the XIV Dalai Lama: If one deeply observes the nature of these physical and mental constituents that make up one’s existence then it becomes evident that none of them are permanent; they are all transient, they are all subject to fluctuations, changes and so on. We left off speaking of the Four Seals of Buddhism. 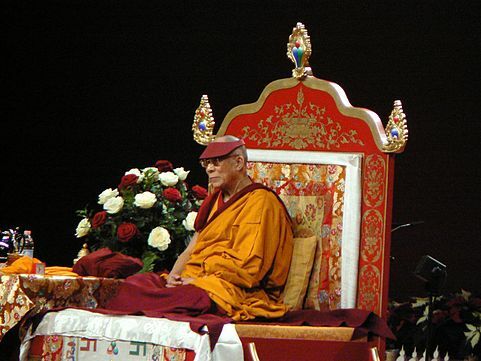 His Holiness the XIV Dalai Lama: All phenomena are devoid of an intrinsic nature; all phenomena are thoroughly pure from the very beginning; all phenomena are thoroughly radiant; all phenomena are naturally transcendent nirvana and all phenomena are manifestly enlightened. 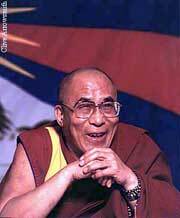 His Holiness the XIV Dalai Lama: I think that basically, as you know, if the Buddhist system is utilized in a maximum way then try to transform your emotions; this is the proper way, not just prayer, not just faith but utilize your intelligence to analyze, analyze, thinking, thinking. In this way you develop some kind of conviction which brings determination which brings effort and then time passes and things will change. We will start with the ceremony for generating the awakening mind. Generating bodhicitta or the awakening mind is truly the essence of the Buddha’s teachings as well as the path. One can say that all of the various elements of the practices presented in the teachings of the Vehicles of the Disciples and of the Self-Realized Ones can be viewed as preliminary to the practice of bodhicitta or awakening mind. The cultivation of the awakening mind is the main practice or the main element of the path. 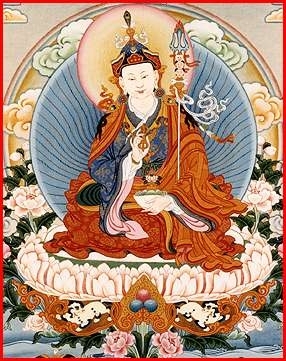 All of the other practices such as the Six Perfections and all of the Vajrayana practices can be seen as precepts of generating the awakening mind. Particularly the Vajrayana practices can be seen as an extension, elaboration or refined development of especially the last two perfections, the Perfection of Concentration and the Perfection of Wisdom. Homage to the Blessed Manjushrikumara and Vajradhharma! The countless erroneous views that exist in the realms of the world may be subsumed into four categories: (i) the unreflective, (ii) the materialists, (iii) the nihilists and (iv) the extremists.